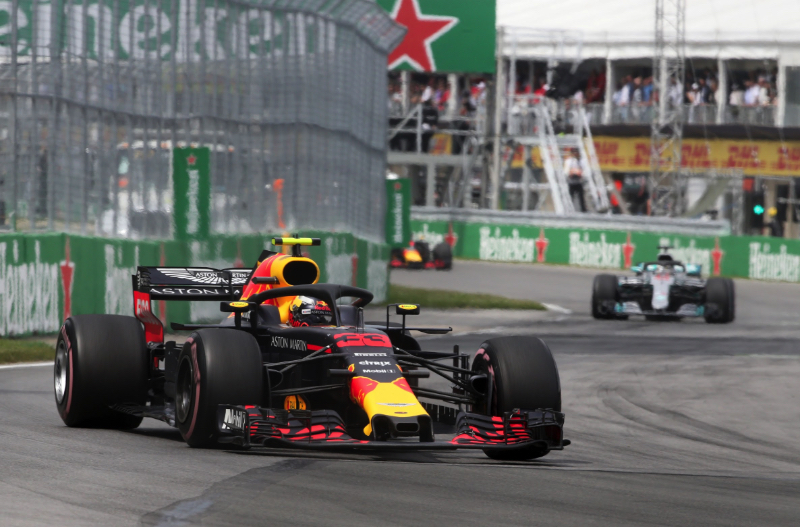 It has emerged that Max Verstappen had no entourage at the Canadian grand prix, just as he ended a run of poor form with a podium. Amid intense speculation about his crash-strewn recent races, the young Dutchman travelled to Montreal without his usual support crew. Father Jos was not there, and nor was his manager Raymond Vermeulen. "Max's approach was slightly different here," Red Bull team boss Christian Horner told Algemeen Dagblad. "He was completely alone here for the first time. It was just a little different. It's something we discussed with Max and it was decided together. "Whether or not it contributed to his strong weekend is impossible to say," Horner added. "And whether it stays that way, I don't know. But it's a fact that Max is still developing and maturing as a driver." Verstappen said he doubts the absence of his father or manager had any impact on his performance. "Normally I go and eat with Raymond or my father, but now it was with Helmut Marko. It's just a bit different. "I never needed that support, but I think it's nice to have my family around me," he added. Horner continued: "Max is an extraordinary talent. In all sports you see athletes who have phases in which things don't work. He has to go through that under the microscope. "Hopefully his bad luck is now finished and it was very important that he drove a strong, clean weekend in Montreal. And now he has a lot of confidence to take into the next races," he added.